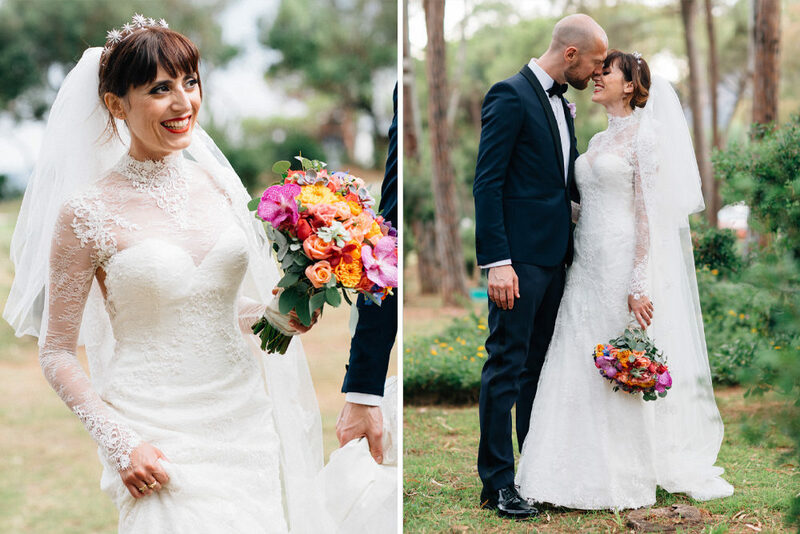 This beautiful Anglo-Italian wedding held in the magical surroundings of Southern Sardinia with its gorgeous bright florals and sophisticated fashion, has really set my pulse racing. 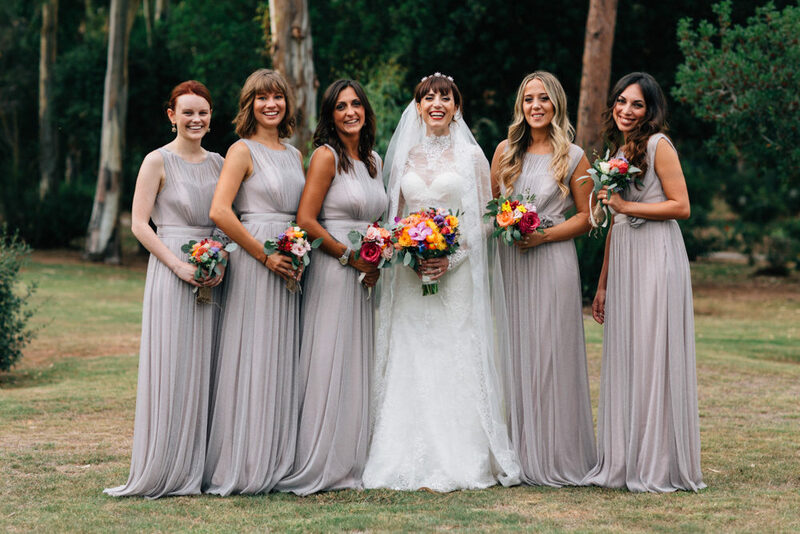 The light and love captured by Greg Funnell and RMW’s The List videographer Gione Da Silva is off the chart, and so are all the details and decor. 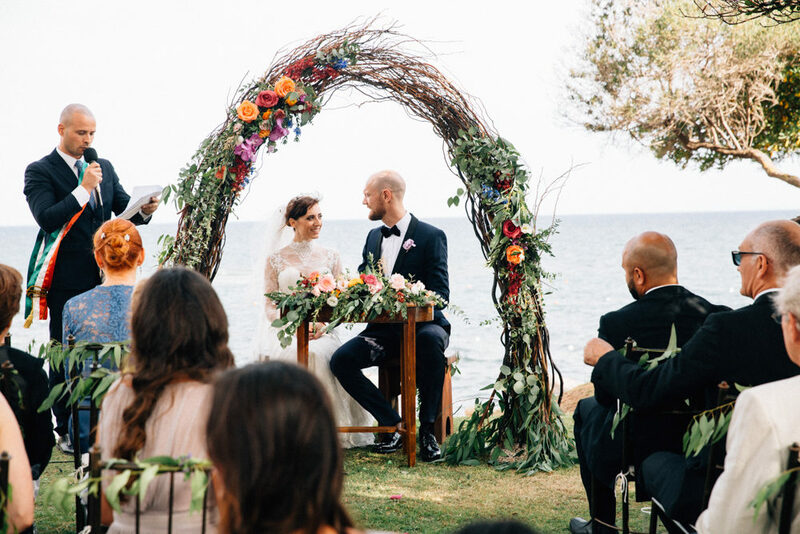 I’m positively sure you’ll be reaching for your pinning button and bookmarking this gorgeous destination wedding, so I’ll keep you no longer and let you enjoy. You may know the very talented Gione Da Silva as the master of wedding videography, but he’s also rather good at stills, as these stunning images of Megan and James show. 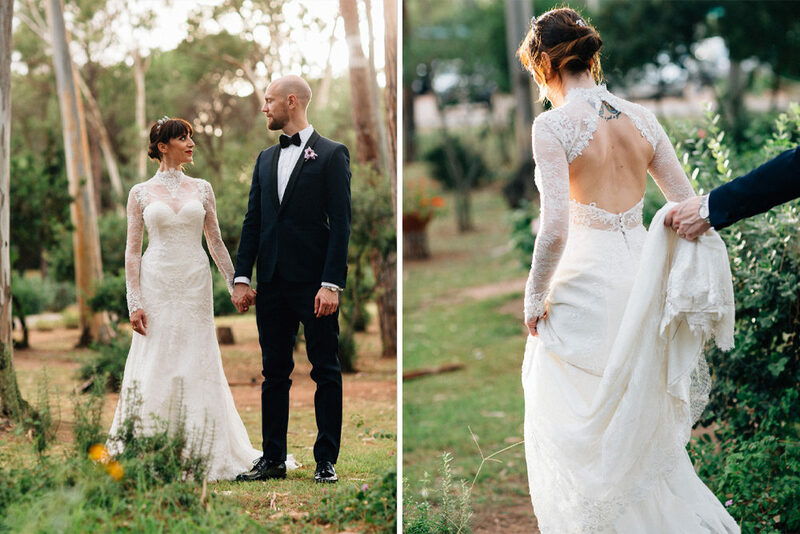 Gione has captured the light, the natural beauty of the forest and the couple’s chemistry to perfection – with no one component outdoing the rest. The ultimate balance strived for by photographers. 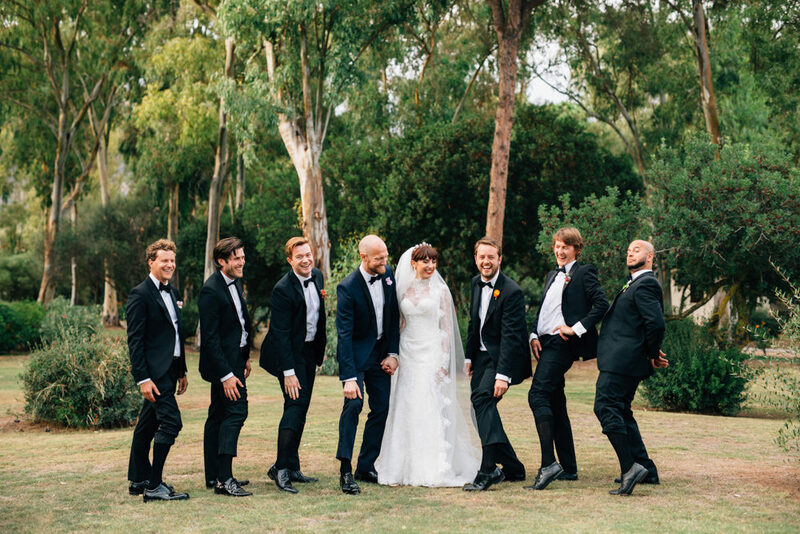 I’ve been looking forward to sharing this beautiful wedding day with you all since Claire Penn sent over a sneak peak and asked if we’d like to feature it. Ummm YES PLEASE. 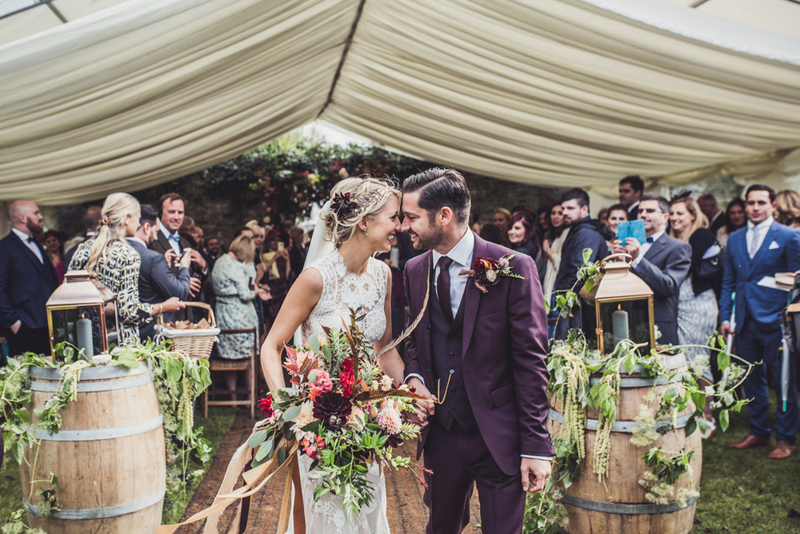 The styling is gorgeous, Jess and Ash both look HOT and SO many of the suppliers involved are proper RMW favourites. 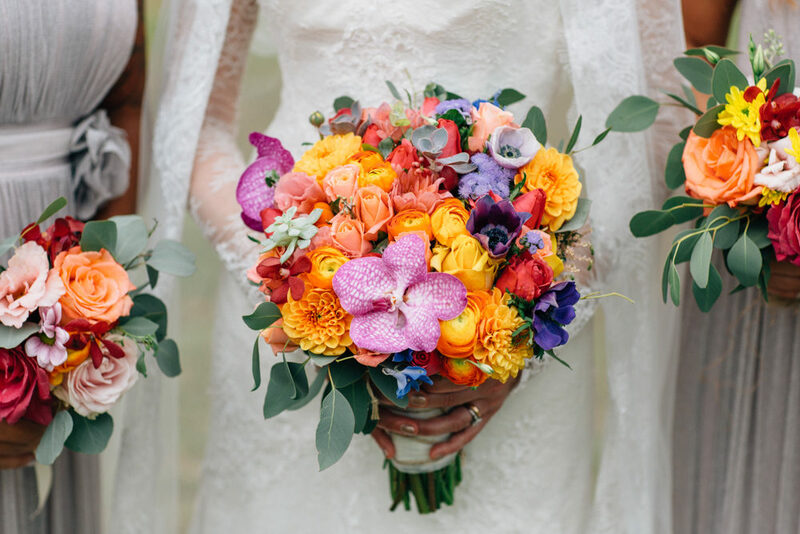 Jess has created the most perfect rustic luxe styling, with a Great Gatsby twist and a sumptuous colour palette of plums, oranges and navy. 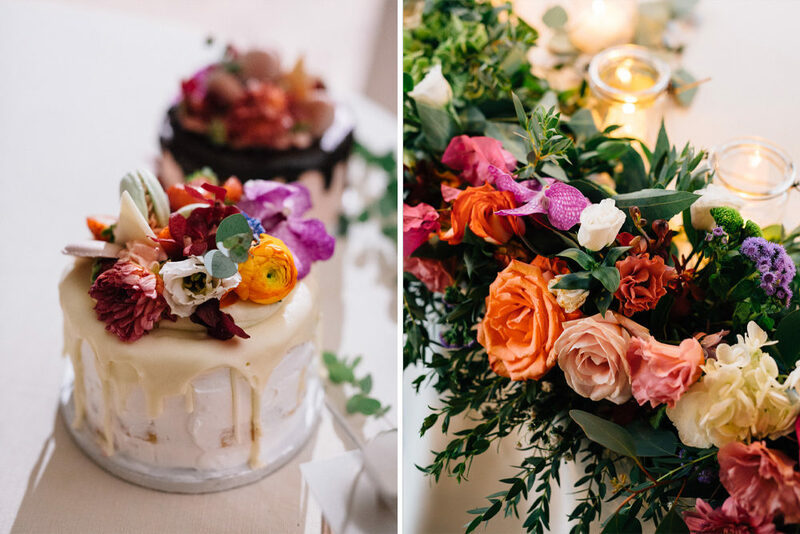 The florals by Juliet Glaves are dreamy and look like something from a styled shoot, not a real wedding – just incredible. 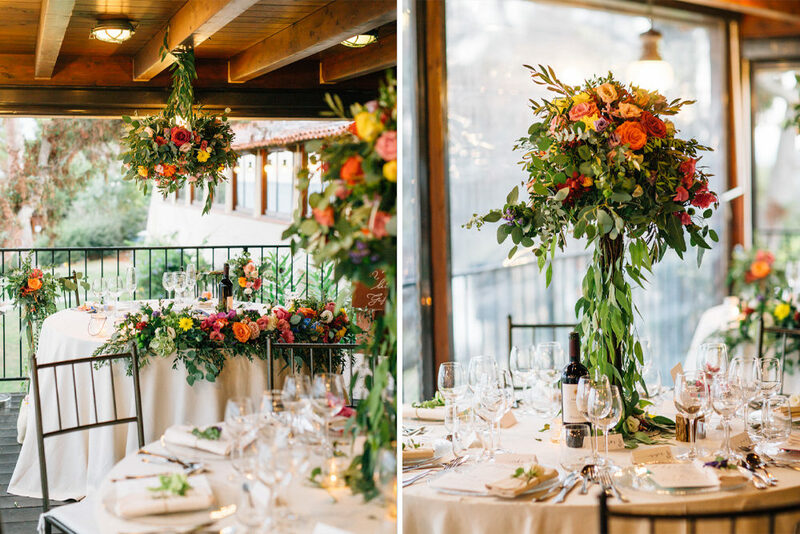 You may recognise the wooden decor used throughout the big day – Made By Wood & Wood had their own wedding featured right here on RMW too. 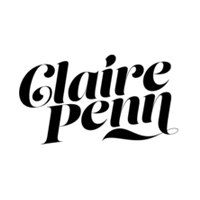 Images come from the lovely Claire Penn, who always has the most fun and stylish couples. 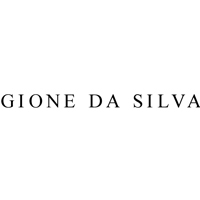 The incredible video comes from Gione Da Silva. His work is SO momentous, moving and magical that I promise you’ll be on the phone to him immediately to check his availability. Enjoy this one lovelies, it’s a pretty special wedding and I just know you’re going to love it.